It is normal to lose up to hundred strands of hair that have reached the end of the hair growth cycle every day. However, if you lose more hair and your hair starts thinning, to stop excess hair fall and restore the normal hair growth process, check your diet. Excess hair fall is often associated with nutritional deficiency. One of the best ways to stop hair loss and promote hair growth is to eat fruits that are known to maintain healthy hair. Fruits rich in vitamins and minerals that nourish the hair follicles and induce hair growth are capable of reducing hair fall. 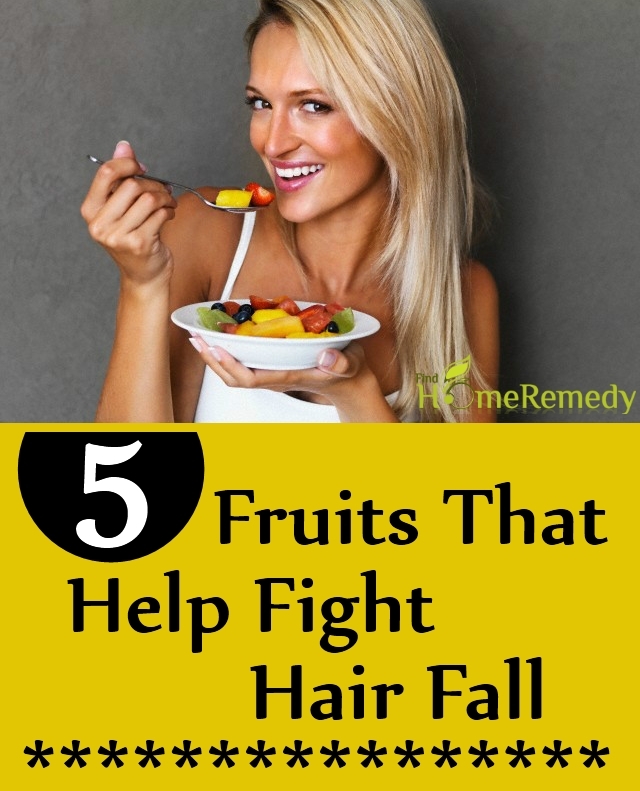 Unfortunately, we often overlook the importance of the role of fruits in fighting hair fall. You need four servings of different types of fruits per day to get your daily supply of essential nutrients, a number of which are good for the tresses. Banana is rich in nutrients that help in keeping the hair healthy. It contains an amino acid that supports healthy hair growth. It is also a good source of silicon, which is essential for synthesis of collagen that strengthens the hair and resists hair breakage and hair fall. Furthermore, potassium found in large amounts in banana stimulates circulation of nutrient and oxygen rich blood, which reaches the scalp and provides nourishment to the hair follicles. Bananas are rich in antioxidants that help in inhibiting free radical induced damage that can affect hair growth. 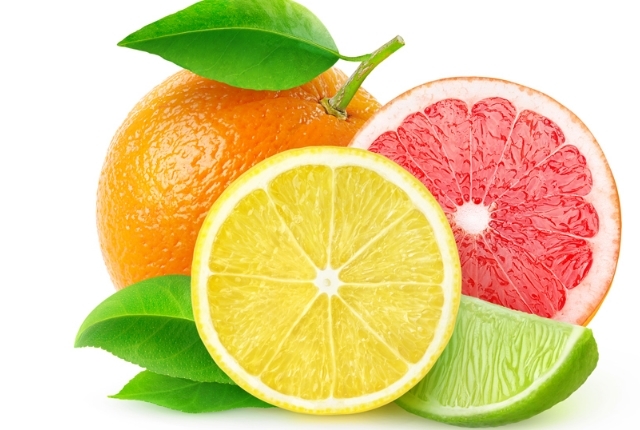 To fight hair fall, add citrus fruits to your daily diet. Citrus fruits such as orange, lemon, lime or tangerine are rich in vitamin C. Your body needs this nutrient to manufacture collagen. Collagen is essential for healthy hair growth. Excess hair fall or hair breakage can be a sign of vitamin C deficiency. Moreover, vitamin C assists in absorption of iron from foods. Iron deficiency causes poor hair growth and excess hair fall. 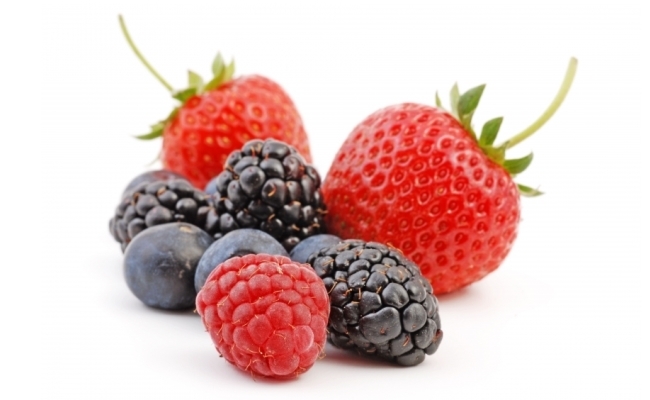 All types of berries such as blueberries, blackberries, strawberries and goji berries are good for the health of the hair. They too are rich in vitamin C. In addition, they contain flavonoids and antioxidants that help in fighting oxidative stress and diseases that are often responsible for excessive hair fall. The nutrient rich berries are known to help in improving the elasticity of the scalp, which helps in supporting healthy hair growth and reduces hair fall. Avocado contains an array of nutrients that are good for the hair. It is an important source of B vitamins, especially biotin, which is necessary for hair growth. Poor hair growth, hair breakage and excess hair fall is associated with biotin deficiency. Biotin helps in increasing the strength of the hair. It makes the hair healthier and thicker. 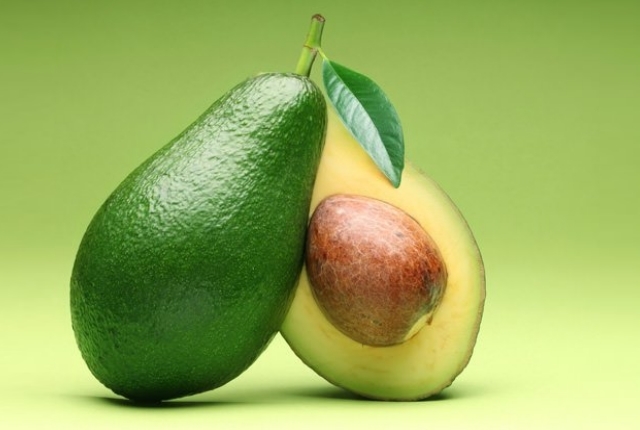 Furthermore, avocado contains the antioxidant vitamin E, iron, potassium and magnesium that keep the scalp healthy. The omega-9 fatty acids found in avocado helps in reducing dryness of the scalp and hair and reduces hair breakage and hair fall. To fight hair fall, eat a medium avocado three to four times a week. 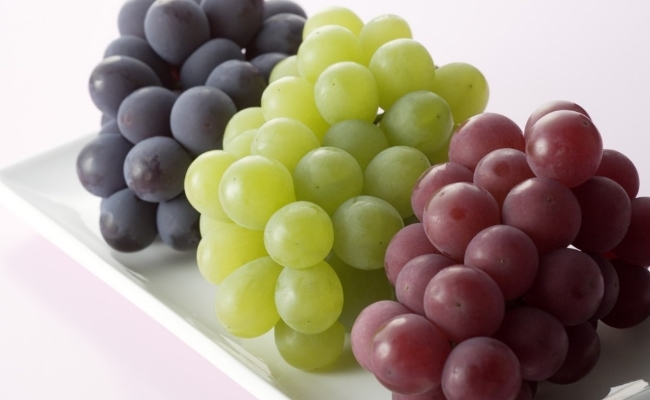 Green grapes are a good source of silica, a trace mineral that helps in hair growth and fights hair loss. It helps in repairing the damaged scalp cells, thereby helping in regeneration of the cells that promote healthy hair growth. It helps in strengthening the hair shafts. Grapes are also rich in antioxidants that support healthy hair growth. This entry was posted in Diet Remedy, Healthy Food.